Defensive midfielder N'Golo Kante, Morata and Spanish central defender Cesar Azpleicueta were rested in the win over Hull City in the FA Cup in order to be fresh for this clash. Kante is expected to partner former Barcelona star Cesc Fabregas in the midfield. Barcelona will look to continue their unbeaten start to the season when they face a difficult trip to play Chelsea in the first leg of their last 16 UEFA Champions League tie on Tuesday night. Barcelona visit London unbeaten after 24 games in the La Liga, bettering the previous best start to a season set by the Pep Guardiola-coached side in the 2009-10 campaign. They are also undefeated in the Champions League, after cruising to the last 16 with four wins and two draws from their six group matches. The side coached by Ernesto Valverde looked jaded against a highly motivated and disciplined Eibar on Saturday, although their firepower was enough to see them to a 2-0 win. And it is possible that a draining start to 2018, which has seen them play midweek games in six of the past 7 weeks has taken its toll. However, there can be few concessions against a rival who have had 24 hours more to prepare for the Champions League after an easy night on Friday as they cruised into the quarter-finals of the FA Cup, resting several key players in a 4-0 win over second division Hull City. Valverde will field his strongest possible side with Marc Andre Ter Stegen in goal, Jordi Alba, Sergi Roberto, Gerard Pique and Samuel Umtiti in defense, Sergio Busquets, Ivan Rakitic and Iniesta in midfield and Lionel Messi and Luis Suarez in attack. The only question mark is whether Valverde will use Paulinho or Andre Gomes as his fourth midfielder, with Paulinho perhaps the favourite ahead of the much-criticised Portuguese player. Nelson Semedo is suspended for the game, but the good news is that Thomas Vermaelen is available again after overcoming a muscle injury. 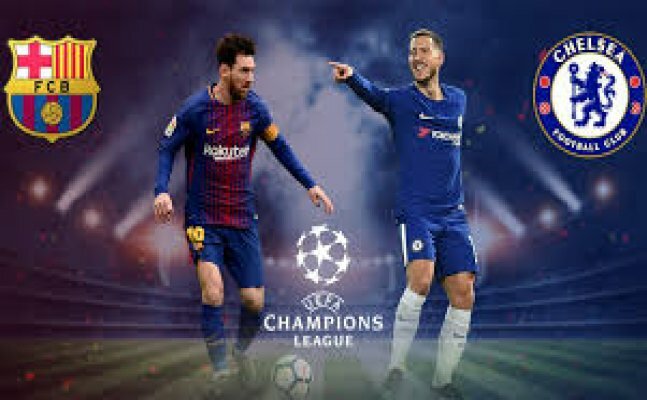 Barcelona and Chelsea have a long history in the Champions League and Messi will be looking to end a run of eight games against the English side in which he has failed to score a single goal. Chelsea, who are in the fourth spot in the English league after a stumbling start to 2018, may be relieved with striker Alvaro Morata's return to full fitness. Belgian playmaker Eden Hazard is in good form. The two will be joined in attack by Willian or ex-Barcelona player Pedro Rodriguez. Left wing-back Marcos Alonso is expected to retake his position in the playing XI with Victor Moses at the other flank.